Declaring your choices by speaking up is vital for all people pleasers. Use your voice to perpetuate or negate. For initiating or terminating. You have a right to agree or refute. 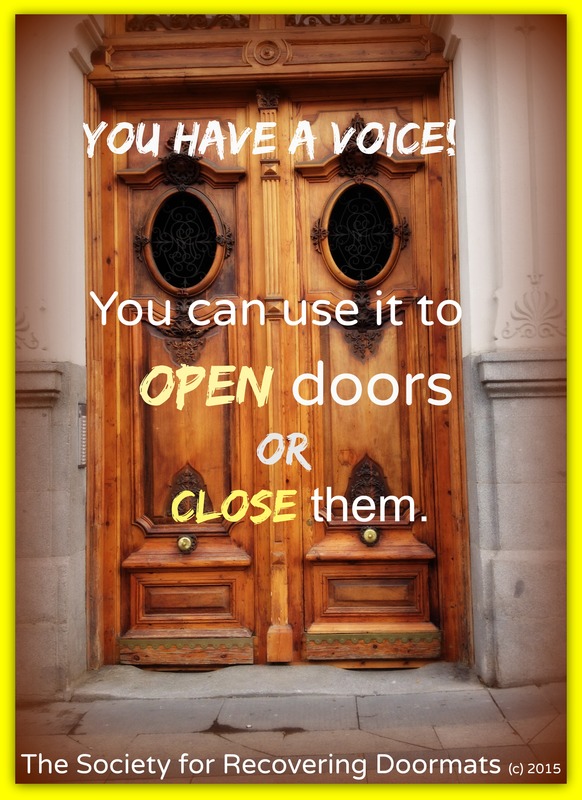 All vocalized decisions enable recovery from doormatism. The only decision keeping you stuck in doormat mode is remaining silent. #Me too!!!! Thank you for commenting. So sad this is a huge epidemic. This is exactly why we must STAND UP! WE MUST SPEAK OUT! In hopes future generations will never go thru this.